Helping you to be a better coach for your rowers and all of the community. Supporting your coaching development with specialist resources and guidance. 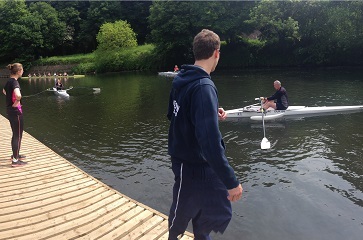 Our COACH membership is specifically designed for qualified rowing coaches. Our COACH members are experienced in their field, passionate about supporting their rowers and clubs, and dedicated to providing the best quality of coaching. Become a COACH member or renew today. Either way select ‘Join Now’. As a COACH member, you’ll get access to tailored courses, workshops and webinars to help you to provide structured training and guidance to your club rowers’ development. You’ll benefit from being covered by our specialist personal accident and third-party liability insurance, and an extra level of cover in the form of professional indemnity insurance, providing cover for incidents arising from advice that COACH members provide as a coach or educator. COACH membership gives you the chance to join a community of coaches that operate within affiliated clubs allowing you to benefit from the experience and expertise of each other and from senior coaches within the sport. It also includes exclusive opportunities to learn from British Rowing’s high performance coaches, plus the opportunity to be recognised and nominated for the British Rowing Coach of the Year Awards. Find out more about the COACH benefits below. There are a number of coaching courses and workshops designed to develop your coaching whether you have been coaching for one or ten years. It is important to keep up-to-date with best practices for coaching and these are designed with you in mind. Receive a new plastic card, which will come pre-printed with your information and passport style photo*, as well as your highest level coaching qualification, every time you renew. If you have current first aid training, or your current safeguarding and protecting workshop credentials, then these will also be printed. This card will also double-up as proof of your coaching qualifications, which can be provided when requested by clubs. *Note that having a photo on your membership profile is mandatory as part of signing up to British Rowing COACH membership. This can be done when you log in or when you renew your membership. Specialist rowing liability and personal accident insurance. All members are covered by third party liability insurance, which protects you if you’re held responsible for causing an injury to someone else or their property. Plus personal accident insurance which provides benefits to you if you’re injured whilst taking part in rowing and rowing related activities. COACH members are also covered by professional indemnity insurance. This cover will protect you in the event that an injury results from a negligent act or omission in your coaching. Your insurance is arranged by Howden – the UK’s largest independent insurance brokers. To find out more about your detailed member cover, go to the insurance micro-site. 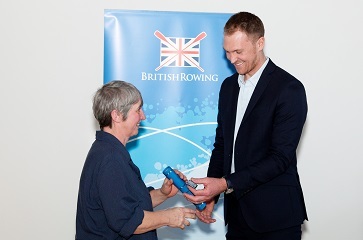 By being a British Rowing COACH member you will have the chance to enter prize draws to learn from British Rowing’s high performance coaches and support teams. This will involve having the opportunity to shadow the coaches and learn from those coaches who have many Olympic or Paralympic medals to their name. This is exclusive to COACH members. Featuring some of the UK’s highest profile rowing contributors, Rowing & Regatta magazine provides the inside look at the sport. With expert coaching and training advice in every issue plus all the latest news, as well as kit and gear reviews. You can manage your subscription by logging into your online account, clicking the ‘Member Details’ link, then the ‘Member benefits’ tab. 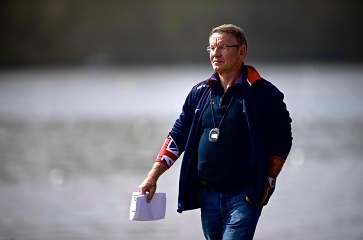 Exclusive to British Rowing COACH members, you can be recognised and nominated for the Coach of the Year awards. There are a number of categories to support the varying types of coaching across the country, including Education Performance, Education Development, Club Performance, Club Development and Coaching Team. 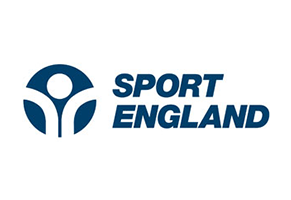 If you are shortlisted, then you are invited to an exclusive lunch for the coaching and volunteering nominees, which also includes either current of former Olympic or Paralympic rowers presenting awards. As a qualified coach you will have full access to British Rowing’s online learning platform, RowHow, relevant to your qualification. This provides you with access to our latest and ever-increasing catalogue of world leading education and training materials. The RowHow platform includes interactive course materials, including self-certification tests, forum functionality, back-dated Rowing & Regatta content on coaching, plus much more. If you have qualified as a coach or attended an existing workshop since 2006 and are a current member of British Rowing then your course resources are available on RowHow. To gain access to all of the great resources you can either sign up to one of our British Rowing courses or workshops or, if you have been on a course before, you can log on to RowHow. *Note that if you completed your last qualification was pre-2006 then please get in touch for access. 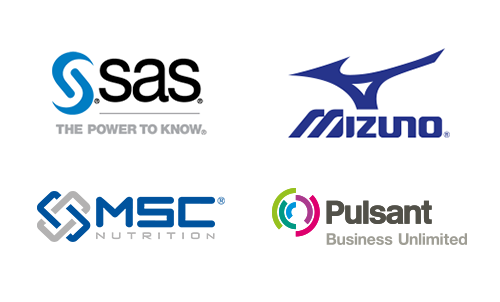 The official replica kit, produced by Mizuno, British Rowing’s Official Sportswear Partner, has been developed using 111 years of Mizuno’s design and performance expertise. It is the same kit worn by the GB Rowing Team during training and while representing Great Britain on the international stage, helping fans to feel like part of the team. 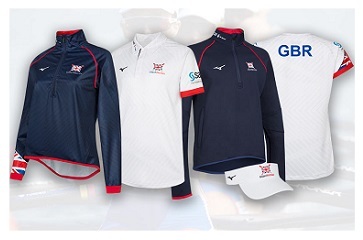 Receive a discount on some of the clothing ranges as a British Rowing members at the British Rowing shop. Save 20% on the Official Licensed British Rowing WaterRower, which is handcrafted from sustainably sourced Appalachian White Oak and inscribed with the British Rowing logo. Save 10% on other WaterRower models when purchasing through the WaterRower website. You can access your discount code by logging into your online account, clicking the ‘Member Details’ link, then the ‘Member benefits’ tab. Save 10% on one of the world-leading car hire companies. Whether needing a car big enough to fit the whole crew or a spare van for all the equipment and supporters, save 10% with Hertz. Relax in a floatation tank filled with a super-saturated Epsom-salt solution to recover from training, like the GB Rowing Team do. Save 10% when you book either online or over the phone. Save on performance nutrition, but remember to always assess the need, assess the risk and assess the consequence when considering using supplements. For more information, please see our Clean Sport pages. Save 10% on your entry to be part of one of the biggest indoor rowing events in the world at the iconic Olympic velodrome. The discount does not apply to relay and spectator tickets. Save 15% on a huge range of ski, snow and climbing clothing and equipment from the world’s best brands. Whether you want to save money on buying your cross-training or winter wear then you can shop for the latest outdoor clothing and benefit from an exclusive discount. Save 15% on running shoes, clothing and more with the running specialists: Runners Need. Whether you want to save money on your next pair of trainers or on more lycra then you can shop for the latest designs and accessories and benefit from an exclusive discount. Save 15% on cycle clothing and accessories and 10% on mountain bikes, road bikes and more. Cycle Surgery is a specialist bike shop stocking the world’s best brands. Whether you need some more equipment for your cycling cross-training or cycling to and from training, then you can benefit from this exclusive discount. Save 15% on outdoor clothing and equipment. Cotswold Outdoor has the best range of outdoor clothing and footwear. If you are needing some more clothing for coaching or volunteering then benefit from this exclusive discount. Save 50% on entry on a day out to remember at the River & Rowing museum. See rowing boats through the years from the 1850s to the gold medal winning boat from the 2000 Olympics, where Sir Steve Redgrave won his fifth gold medal. Enjoy a host of interactive exhibitions, events and workshops and find out more about our sport. Just show your membership card at the museum to receive your discount.